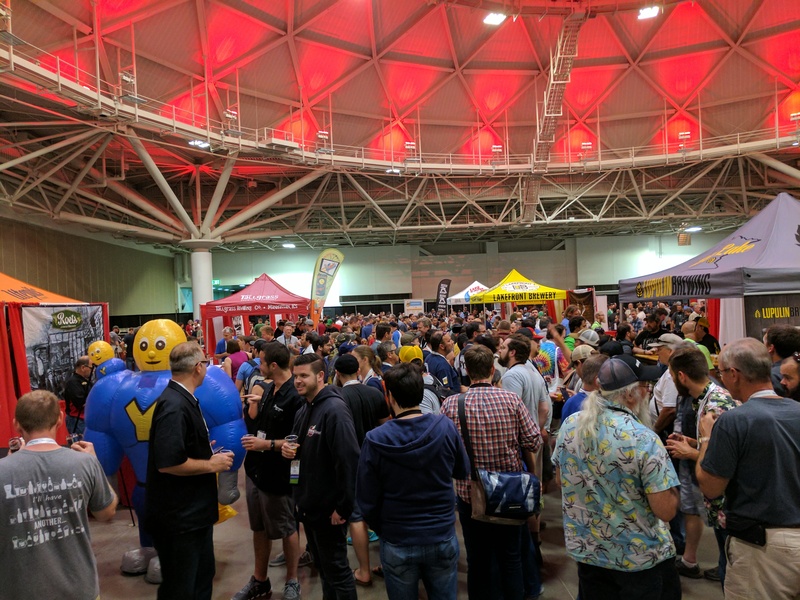 Homebrew Con is an annual conference of 3000 homebrewing and craft beer enthusiasts put on by the American Homebrewers Association. Each year a new city is chosen, which keeps things exciting since you get to visit somewhere new. It’s an amazing experience to see and meet so many people that are passionate about the same thing you are, beer! Ask almost anyone what their favourite part of the conference is, and they will say THE PEOPLE. The thing that keeps people coming back every year is the opportunity to catch up with the friends you made last year, and to make new ones. You also get to meet and chat with most of your favourite homebrew celebrities. They are all super friendly and happy to meet you, you just have to work up the courage to say hi! We arrived in Minneapolis on the Tuesday night, which gave us time to get settled before things started on Wednesday. We hit up Surly, then went to bed. On Wednesday I attended the BJCP Judges Reception and BJCP Members Meeting. It was great to meet so many high ranking judges, hear their feedback to the BJCP, and give some of my own. After the BJCP events, we went to Insight Brewing for the Chop & Brü Pre-Funk Party. As expected, it was a great warm up event for all the fun that was to follow. 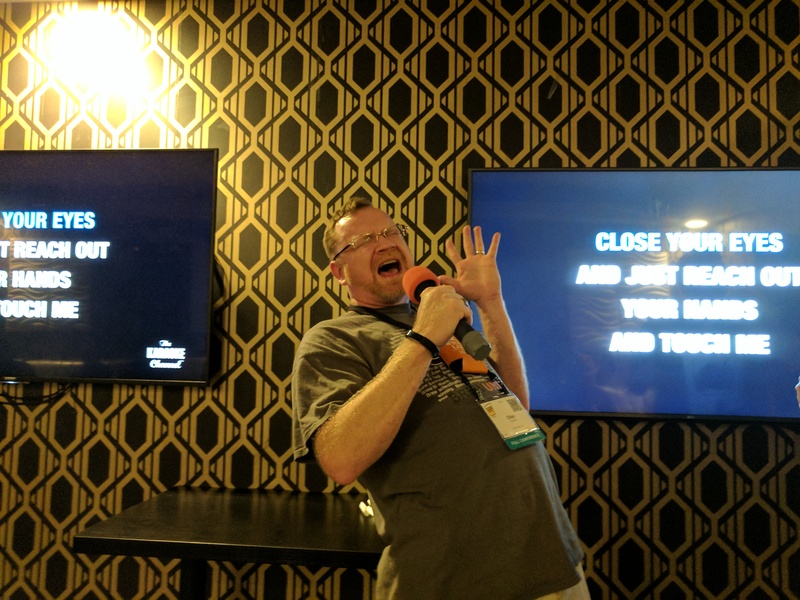 We met up with part of our online crew at the event, and sang some karaoke. 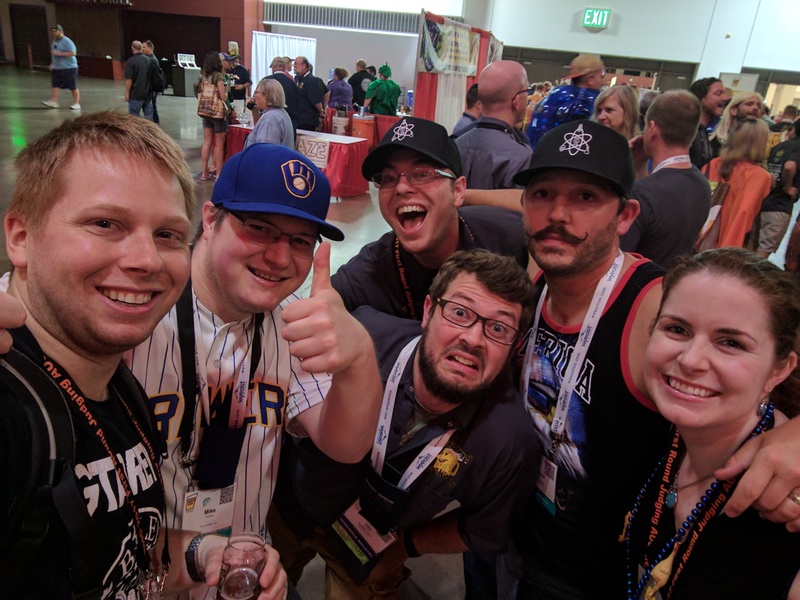 We’re mostly homebrew bloggers/enthusiasts that met through /r/homebrewing, and have grown close over the years. I’ll refer to them, plus any new friends we gained as the HBC Crew, for the sake of brevity. Thursday was an early start since I had to be at the conference center by 7 AM for breakfast before judging the Final Round of the National Homebrew Competition. 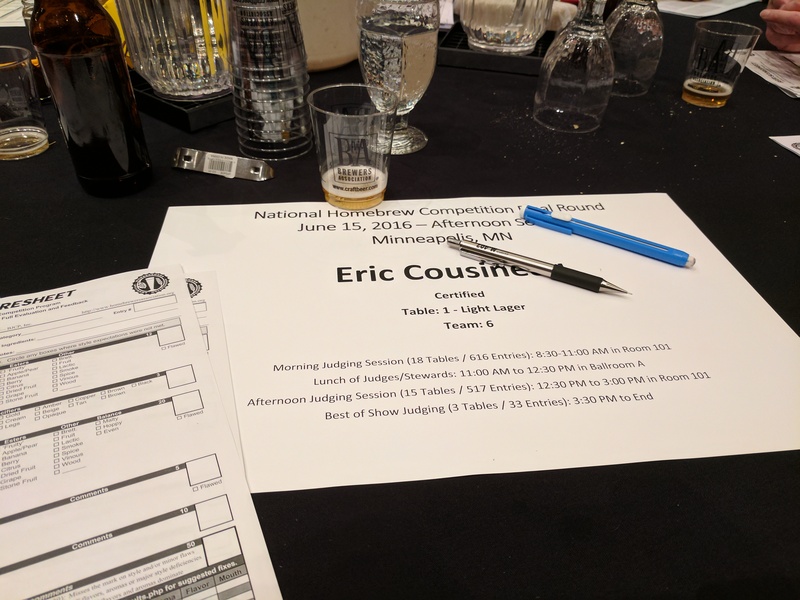 This is one of the highlights for me since I get to judge with passionate beer judges from around the USA. In the afternoon after judging was complete, I attended two seminars. A highlight was “Hold My Beer and Watch Me Science” by Brulosophy and Experimental Brewing, very entertaining! After the seminars, I met up with Rebecca and went to the keynote. The intro by Gary Glass and Charlie Papazian was fun and engaging. The speaker was Omar Ansari of Surly Brewing. His story was interesting but we weren’t able to stay for the end of it because he went way over time and we didn’t want to miss the Milk the Funk Meet Up. 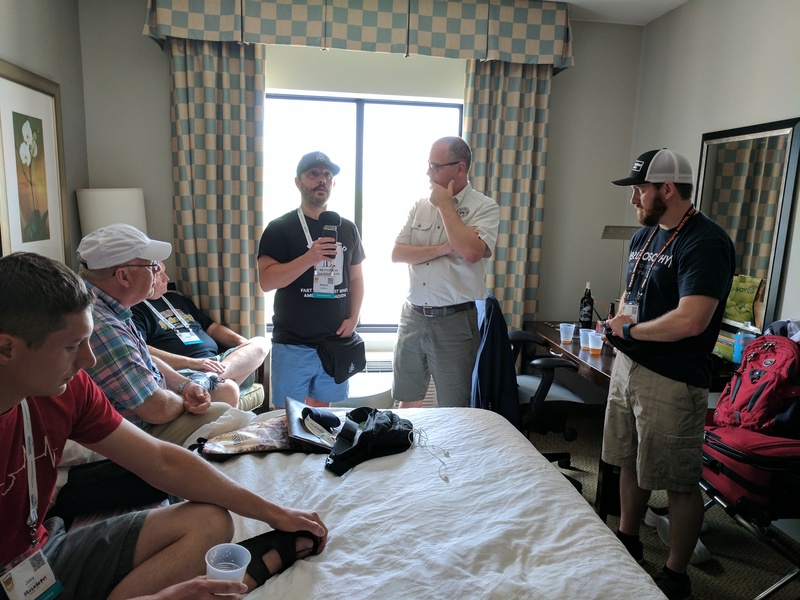 The MTF Meet Up was fantastic as usual, another big highlight of HomebrewCon. So many fantastic sour and funky beers were shared. I was pouring my Black Sour and Dry Hopped Sour, as well as a Grisetterita and an Ontario-only Saison from Richard Priess of Escarpment Labratories. I still remember a club barrel Kriek that a skilled brewer from Ann Arbor was sharing, incredible beer! Edit: That Kriek was from none other than The Gremlyn, check out his blog! 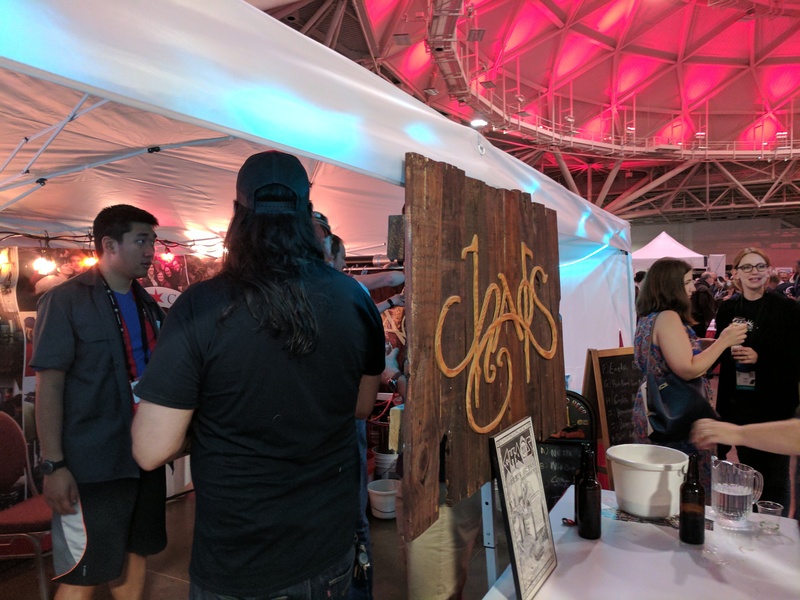 We made our way to the Kickoff Party (aka Pro Night), to try a huge variety of local and regional beer from Brewers Association member breweries. The best part of Pro Night was getting to try beers from dozens of local breweries I had never heard of, all in one place! Dangerous Man and Funkwerks had some awesome beer, and lineups advertising their awesomeness. After Pro Night, we joined the Brü Crew and the rest of our HBC Crew at a private karaoke party. Words can’t describe how much fun this was. We belted out retro tunes, then cheered and laughed as others did it too! Friday started bright and early a 9 AM with a seminar called “Building Great Homebrew Clubs” hosted by the past winners of the Radegast Award. That was followed up with a talk called “Lagers to Lambic: Hard Stuff the Easy Way” by my friends Derek of Five Blades Brewing and Brian of Brouwerij-Chugach. After that I attended a session called “Becoming a Better Beer Judge” by Amanda Burkemper. 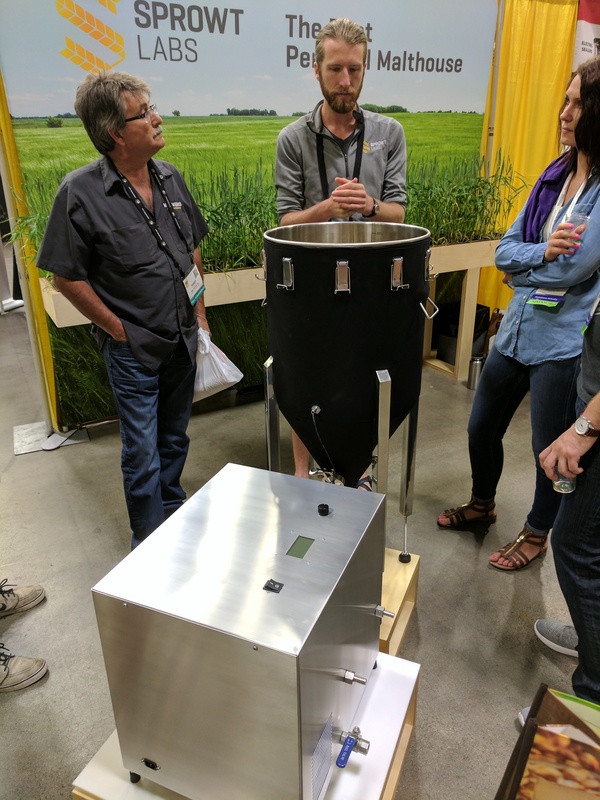 I spent the lunch slot walking around the Expo Floor and checking out all the latest innovations in homebrewing equipment, ingredients, processes, education, and more. One cool thing I saw was this home malting machine. After lunch I attended “Against the Grain: Wood Aging and Barrel Alternatives” by another good friend Matt Del Fiacco of Brulosophy, and To Brew a Beer. 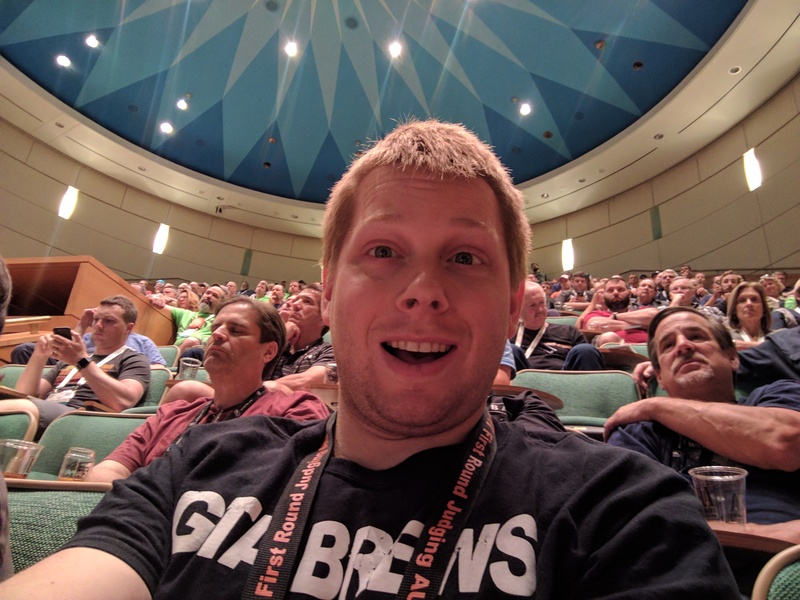 By this point I had been invited to hang out at a live podcast recording of Basic Brewing Radio with the Brulosophy crew, so I ditched the rest of the seminars and hung out with them. I was sad to miss the AHA Members Meeting but I had never gotten to meet James Spencer before, and he said he liked my Irish Stout! 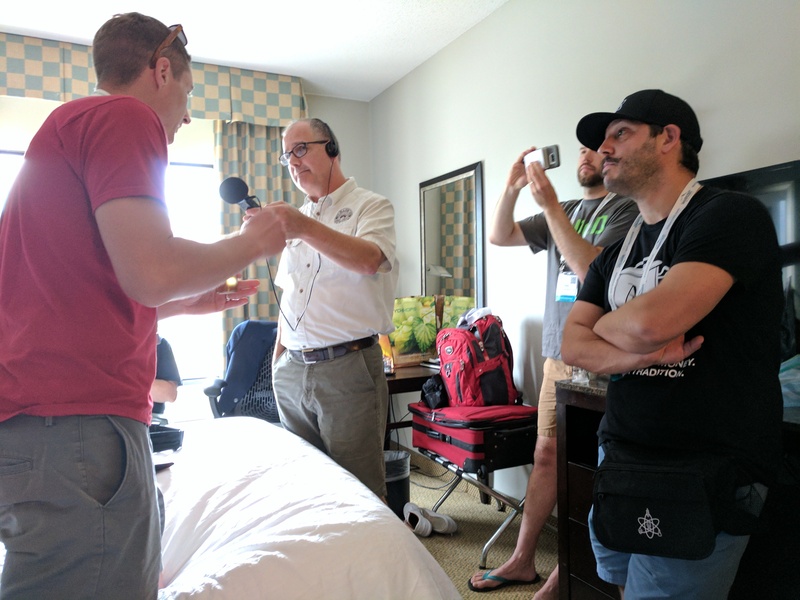 Marshall decided to record an impromptu episode of the Brulosophy Podcast while everyone was together and he even gave me and this blog a little airtime to share my Dry Hopped Saison! After recording we were hungry and decided to try and visit Butcher and Boar, unfortunately it was super busy so we went next door instead. Next up was club night, always one of the key highlights for everyone at the conference. 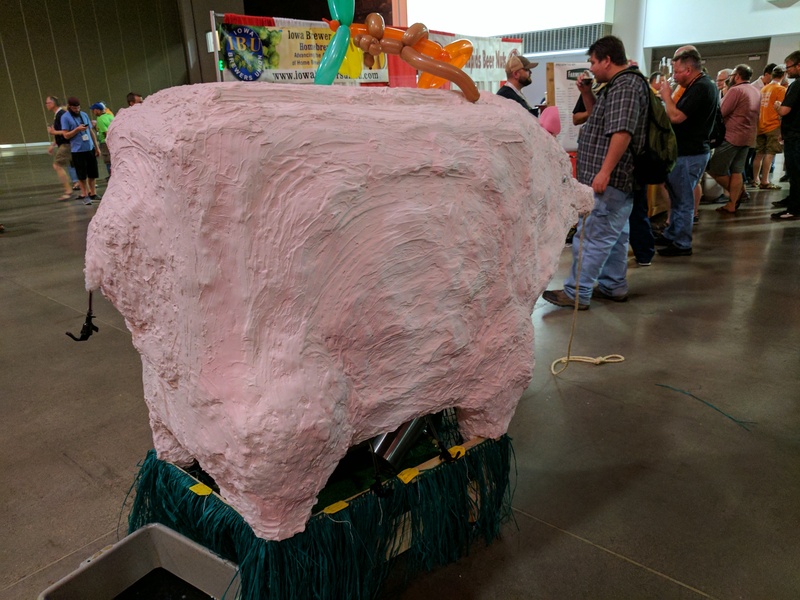 It’s inspiring to see countless homebrew clubs from around the the country go all out with decorations and delicious beers. 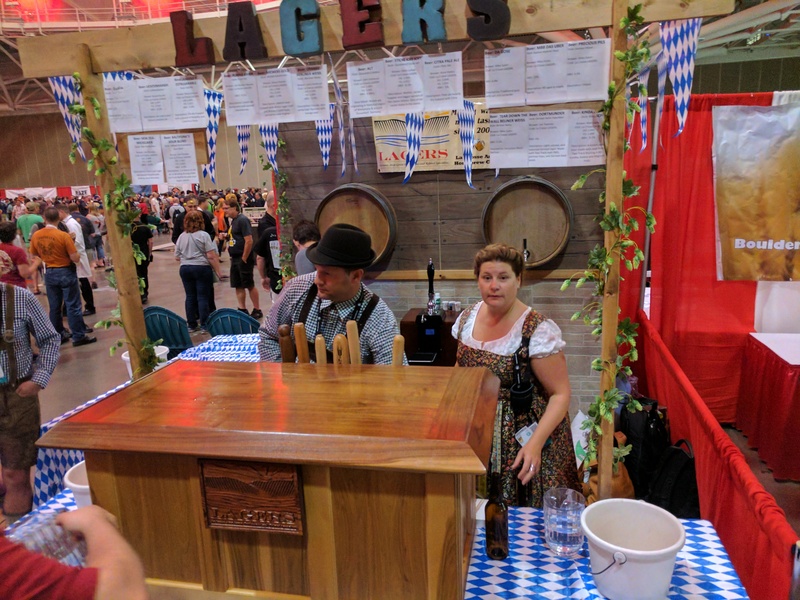 Each booth is more creative than the last and many of them have over 10 beers/meads/ciders on tap! 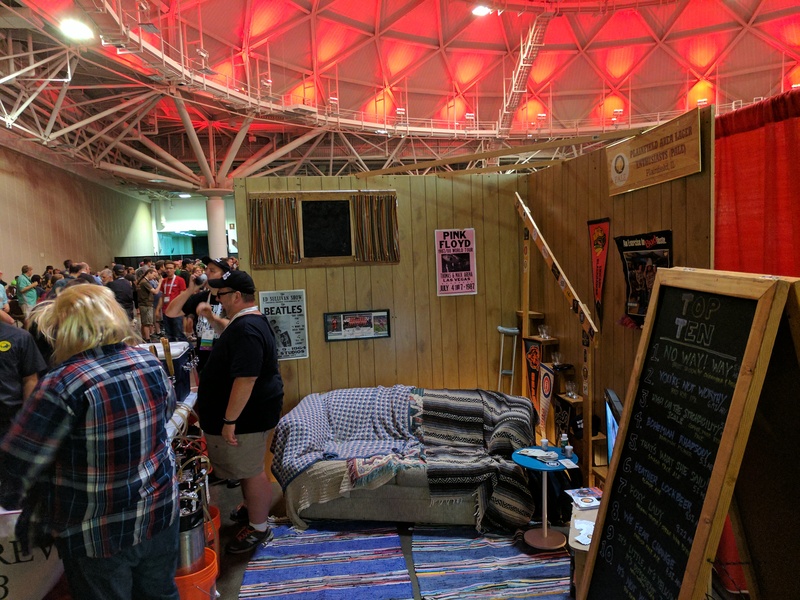 Next time the conference is on the East Coast I would love to get enough GTA Brews members together to assemble a booth to rival the best clubs. After club night we had an impromptu party with our HBC crew and others in a hotel room to drink all the New Glarus beers that Mike Koncel had been kind enough to bring us from his home state of Wisconsin. Rebecca and I had a wild time, and the room got pretty packed. Marshall gave a heartfelt speech while standing on a bed, and everyone stayed up way too late. We even had Drew Beechum join us to chat for a while, probably because he heard there would be Spotted Cow (Cream Ale)! 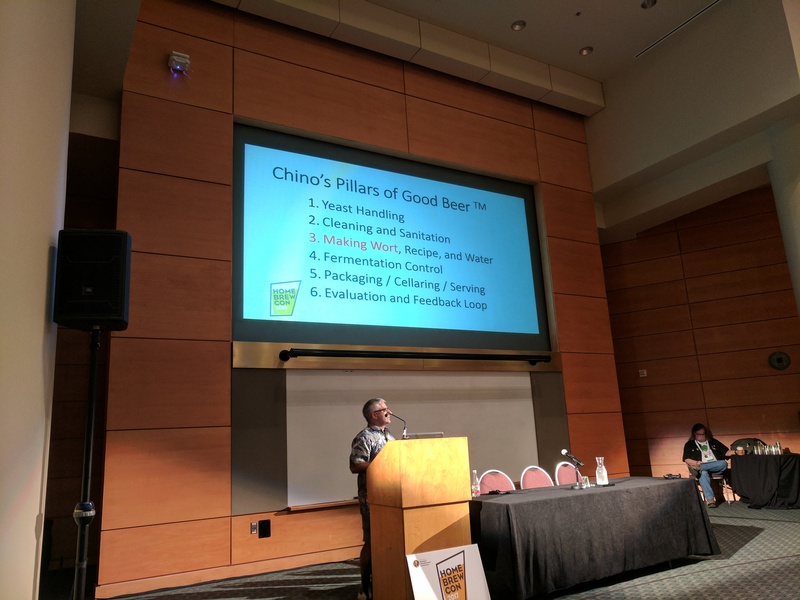 I was up bright and early Saturday morning to attend my friend chino_brews’ 9 AM seminar “Brewing When You Have No Time (Getting More Out of Your Limited Brewing Time)”. Early morning seminars after club night are always rough, but an impressive portion of the HBC Crew made it out! 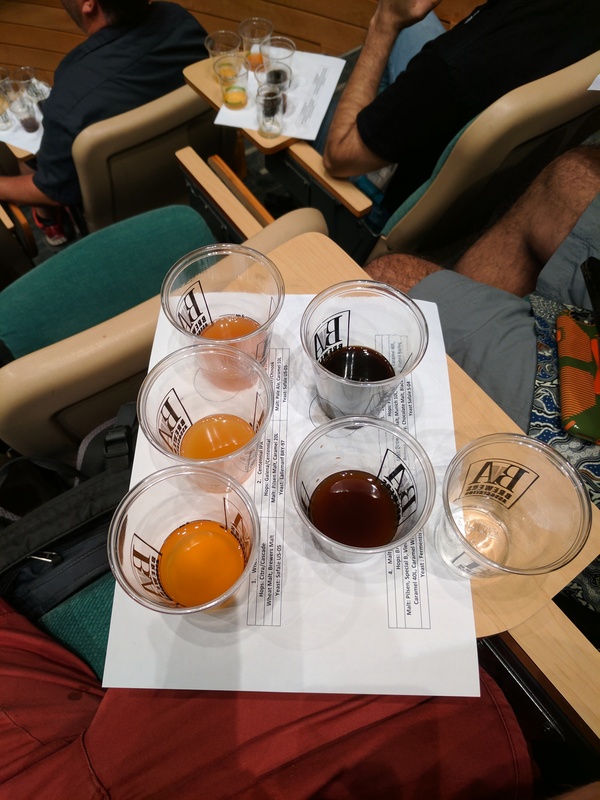 After that, Chino and I attended a seminar called “Beer Blending Tips and Techniques” together, it was fun to blend the 5 beers they gave us, but scary since there wasn’t much surface to set the cups on. At this point Matt Del Fiacco was getting ready to leave, and I hadn’t really seen much of the Expo, so I decided to skip the next seminar and walk the rest of the exhibits with him. I also networked with a few companies in hopes of securing sponsorship for Brew Slam 2017. 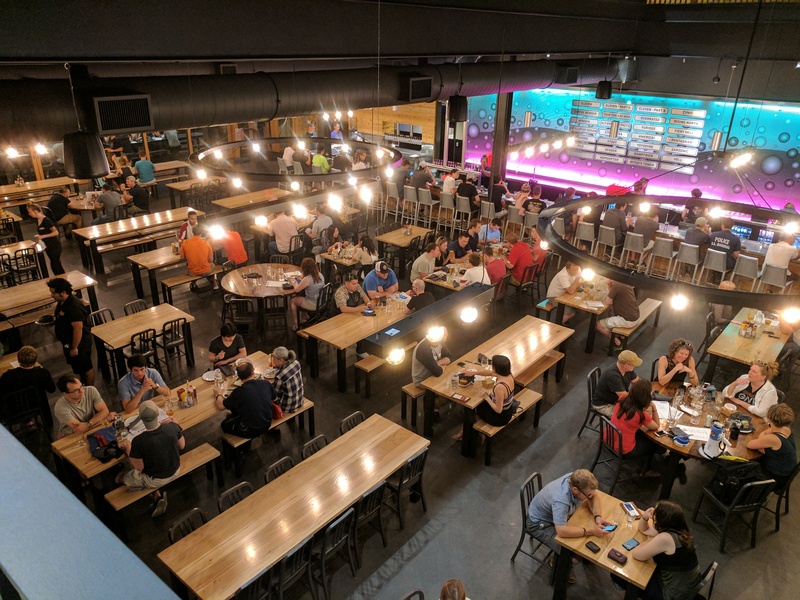 Next up was supposed to be the “Online Forum Meet and Greet” (including /r/homebrewing) but there was no sign setup anywhere in the Social Club to tell people where to gather. We gathered about 5 people at one point but it seems that the AHA double booked the space because all of a sudden a giant crowd formed by the stage for a “sponsor demo”. Matt Boiling if you are reading this, please set a designated space for this next year! We wandered the Expo a bit longer then met up with Rebecca to go to the newly reformatted NHC Awards Ceremony. 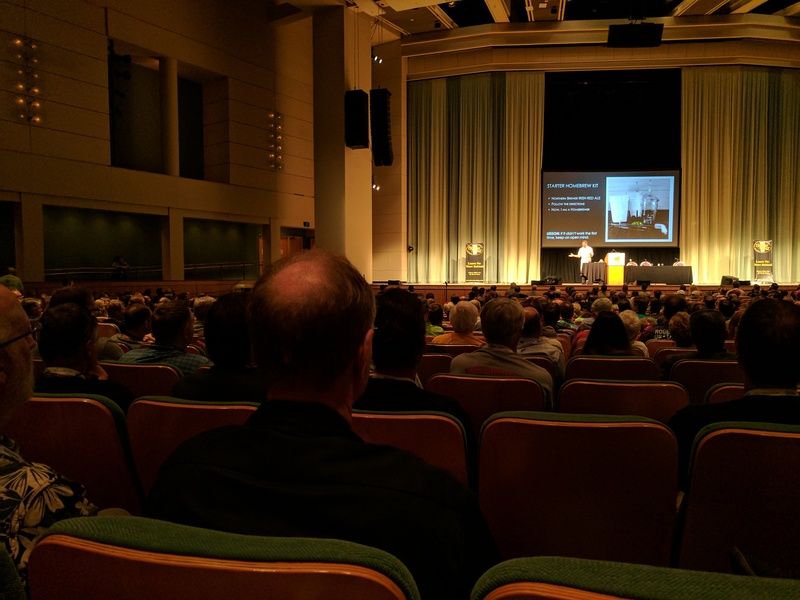 I was a bit sad to see the reduced attendance compared to the old banquet format, but it was understandable since there were still seminars and Expo stuff going on in parallel. I understand not everyone wants to attend the awards, but there was something epic about the giant banquet room FULL of people, and seeing them all cheer on the winners. Rebecca had brought my remaining homebrew with her, so I was able to share it during the awards. The HBC Crew erupted into cheers and screams when our friend Malcolm Frazer was called up to receive a medal. Another highlight that I should mention was when a brewer from South Korea won Gold in Sour Beer, the room erupted in cheers, but when we all noticed he was actually present to accept the medal, the crowd went nuts. Unfortunately not everyone stopped walking for the selfie, sorry Olan! At the end of the night everyone said their tearful goodbyes, and promised to do their best to attend again next year in Portland, OR. 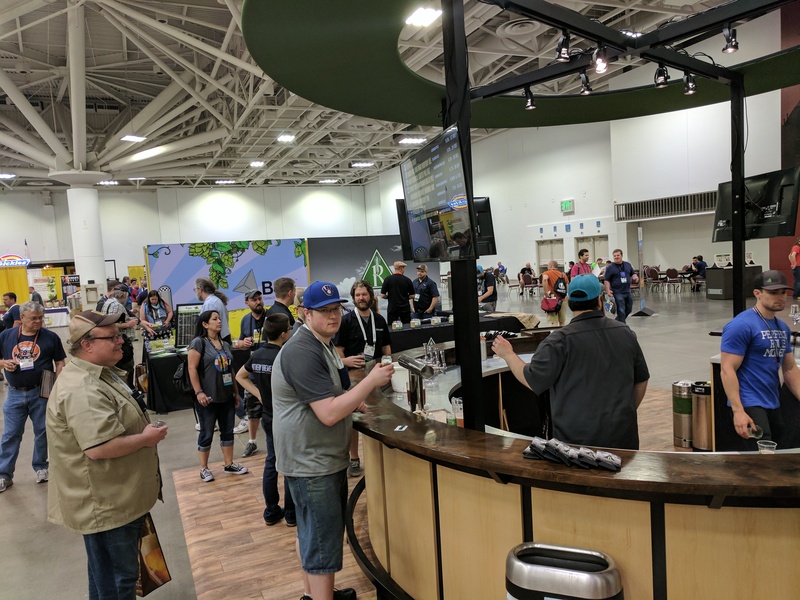 Thanks for reading this long post, I hope it has convinced you to move Homebrew Con up your priority list of beer destinations. Shout out to all the people that joined the HBC Crew at some point: Derek, Marshall, Malcolm, Jake, Mike, Olan, Matt DF, Matt C, Franklin, Robb, Brian, Chino, Greg, Jersey, Matt B, Jaded Brewing, Yakima Valley Hops, and of course Rebecca. Hey! I had a good time stumbling into you guys saturday night. I have a bunch of pictures from bauhaus and town hall if you’re interested (some of them aren’t even blurry!). I had a great time running into you too! Thanks for buying those rounds! I felt bad we weren’t able to help on 2nd round, but our Ubers were already en route! Hope you got home to Michigan okay! Hey Ron, I really hope next year well can see each other again. This seriously looks like a blast. Even more disappointed I couldn’t make it since I’m in Des Moines, so it would’ve been a short 3.5 hour trip up! Oh well – I’ll get there some year (Portland next year will be a longshot for me). On another note, I was just up in Wisconsin last weekend and brought home some New Glarus Staghorn (their Oktoberfest). Drank some Spotted Cow up there too for the first time. Such solid beers all around! Looks like a blast. Won’t be able to go this year but hopefully things work out for next year. 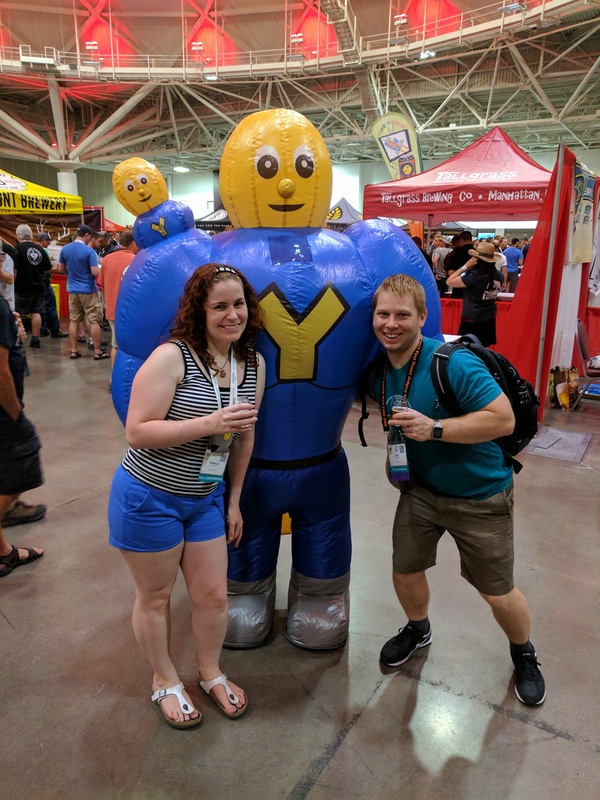 I’ve recently started my homebrew blog to lead to a brewery but it seems as though every homebrew blog including this one has slowly faded away.